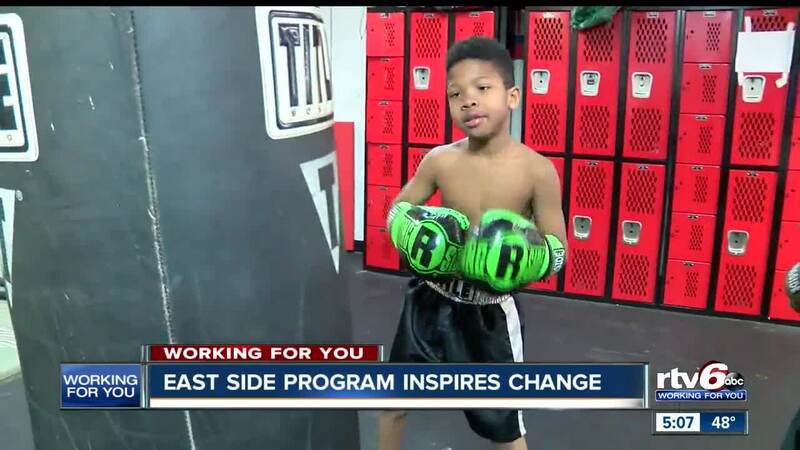 INDIANAPOLIS — Team Achieve Boxing is more than a youth sports program on the Indianapolis east side. It's also having a positive impact on an entire community as a place that helps kids in all aspect of their lives. Coaches help children with their homework and even assist parents and young adults finish high school. "If you can do what it takes to become a state champion in boxing, then you can do what it takes to make the honor roll and you can do what it takes to get to college," said the program's director, James Curles. Team Achieve Boxing also feeds families, serving 80 warm meals each night. Plus, there's a shower, a washer, dryer and oven. "Some people don't have a washer and dryer in their house and they can't even eat food, so when we come here, we know we can eat and wash clothes, " said 13-year-old Travell Kendall. Program volunteer Harry Wallace said the kids learn how to fight through boxing, but more importantly, "You also learn when not to fight and that's also important, too. So, they build leaders here and that's very important."